Sure, you’ve had a perfect driving record until now, but a new study warns that putting in a claim on your car insurance can be unexpectedly costly – and you might wind up spending more than you get back. A single “at-fault” claim will result in an average increase of 38 percent in your annual car insurance premium, according to insuranceQuotes.com, and a second claim could nearly double what you pay. There are a few insurance companies – including Liberty Mutual, Nationwide and Allstate -- that “forgive” a claim filed by a consumer for a first-time accident, but most consumers could be socked hard, especially those with less than stellar driving records, the study found. For those not covered by a forgiveness policy, a single at-fault claim – meaning you’re responsible for causing the damage – translates into an increase of 38 percent in annual insurance premiums. A second at-fault claim within a 12 month period will bump premiums up by 86 percent. The exact amount will vary according to a variety of factors. The insuranceQuotes study was based on a “typical” 45-year-old motorist with a good driving record. But if the driver is young and has a poor credit record, the increase could be even more severe, Adams noted. And increases vary state by state, from a low of 20 percent for a single claim in Maryland to 67 percent, on average, in Massachusetts. Insurance companies don’t treat all claims the same way. They can fall into three categories. Typically, the most expensive is the bodily injury, or liability, claim, which averaged $14,653 across the U.S. in 2012. Then there’s the damage claim, which averaged a more modest $3,073 and reflected incidents in which a vehicle was damaged but no one was hurt. First time bodily injury and damage claims will drive up a typical motorist’s insurance rate by just over 40 percent, the study said. A third category of claim is called comprehensive, which can cover such things as theft, hail damage or a tree falling onto a vehicle. The typical comprehensive claim came to $1,585. But perhaps more importantly, the study found insurance companies raised rates after a single one of these claims by a modest 2 percent. “So, it makes sense to file those,” said Adams. If you do file a claim your insurance increase is likely to remain in effect for three to five years, she added, and that could stretch out even longer if you file additional claims or get points on your record from traffic tickets. The other critical factor to consider before contacting your insurance agent is whether you’re at fault or not. 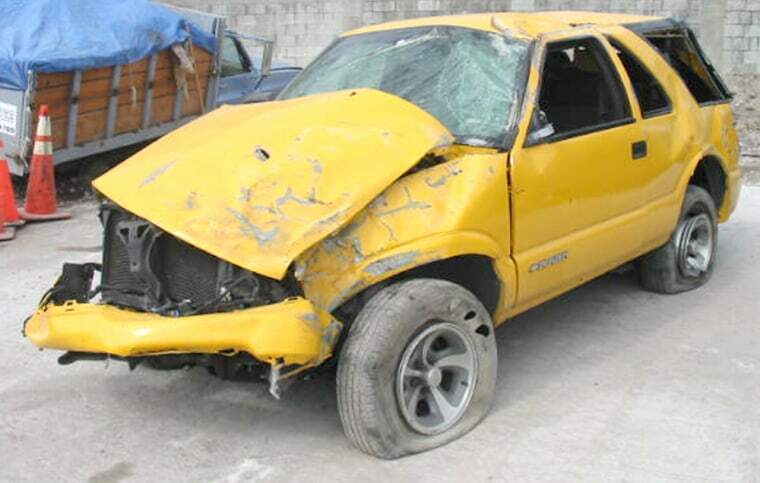 If the other motorist was found to have caused a crash your insurance company normally won’t penalize you. Even if you’re hit by someone else who doesn’t have insurance or who is under-insured, said Adams, your own insurance may kick in but you won’t be penalized. The study was based on the rate plans for six major insurance carriers in all 50 states as well as the District of Columbia. It assumed a middle-aged driver carrying a policy providing a maximum $300,000 in liability coverage, with a $500 deductible, submitting a $2,000 claim. Do you Recognize What Those Dashboard Warning Lights Mean?